Our hometown gained celebrity this year as the future home of the Facebook data center. The announcement couldn’t have come at a better time. Like most of the nation, we’re struggling with high unemployment and home foreclosure rates, as well as state, county, and school district budget woes. Although the new data center won’t employ large numbers (estimated 35 permanent jobs), Facebook’s announcement was the ultimate morale boost. The Facebook Data Center. Building is in progress, even in today’s rain. Since the announcement, Facebook has settled into its rural life gracefully. They sponsored new uniforms for the track team in exchange for the athletes’ help in sweeping downtown sidewalks. 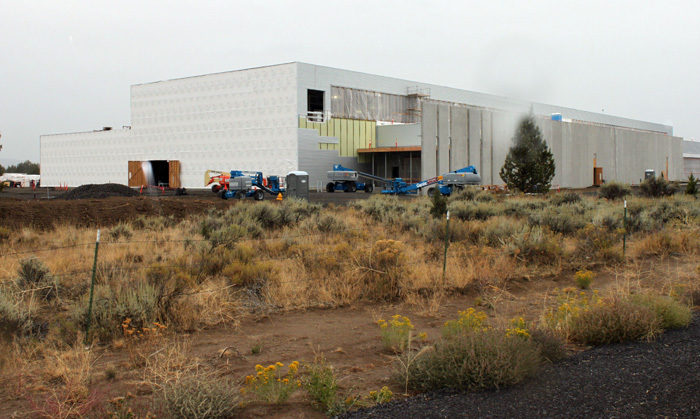 The data center’s Facebook page promotes local events and provides construction and hiring updates. The Central Oregonian (local newspaper) has their back regarding the Greenpeace ruckus. Heck, Facebook even bought a pig at the County Fair and earned a spontaneous round of applause from all of us in the stands. It was during that applause, back in August, that this post started forming. I thought it was really nice that folks acknowledged the new kid on the block and the effort Facebook was making to support our town and its kids. And it’s even nicer of Facebook to provide that support. They don’t have to and I’m grateful. But, there are a lot of other businesses in this community that have been here buying pigs at the County Fair for years now. They’ve been earning signs on the high school stadium fence, ads in the high school band concert programs, bricks on the county library’s sidewalk, and acknowledgment at the community picnics/concerts in the park on summer evenings. Signs along the fence at Ward Rhoden Stadium. These businesses, large and small, carry the weight of the current recession. In addition to worrying about their own bottom line, they worry about things like disappearing school extra-curricular budgets and ongoing community needs. I’m as grateful to them as Facebook. And then there are the schools, the students, and the parents. In the past three years, our school district has had to make the hard and unpopular decision that it is, in fact, a school district and not a sports or parks district. As much as I would love to keep all funding in tact, they didn’t have that option. I am grateful that they chose teachers and classroom needs over coaches and sports needs. That’s hard to write, because I have friends who are coaches and sons who play sports. And I believe sports, band, debate team, and the assorted extra-curricular activities are part of a good education. I am especially grateful to the teachers and coaches who have filled the funding gaps with their own time and money. 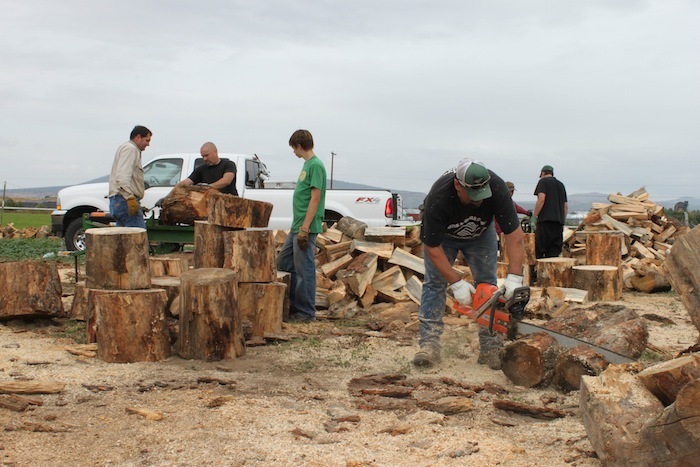 Pat Goehring (with chainsaw), one of the CCMS Football coaches, cutting wood for delivery. So, this leaves the students and parents. We fundraise. We hawk candy bars and pizza kits. We paint fire hydrants. 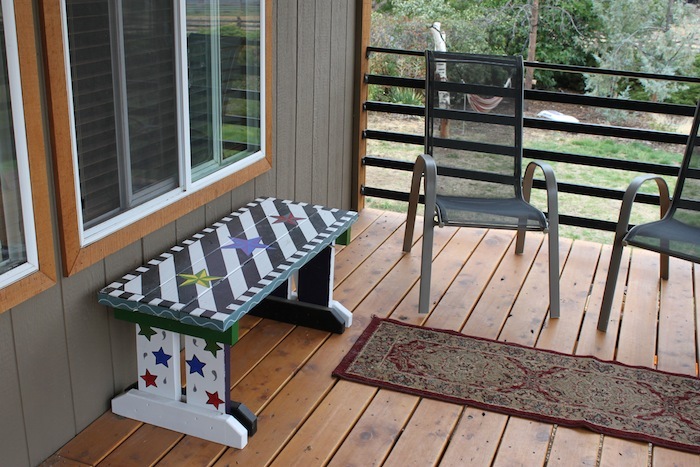 (Thanks, City of Prineville.) We work concession stands. We chop and deliver firewood. We sort bottles and cans. Lots of bottles and cans. 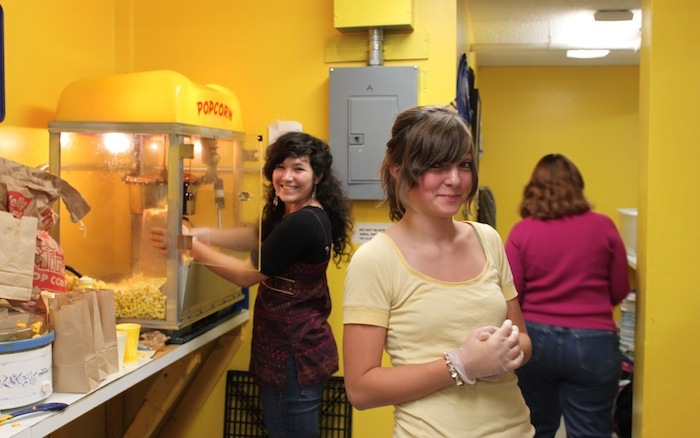 CCHS Track working the concession stand at a recent football game. 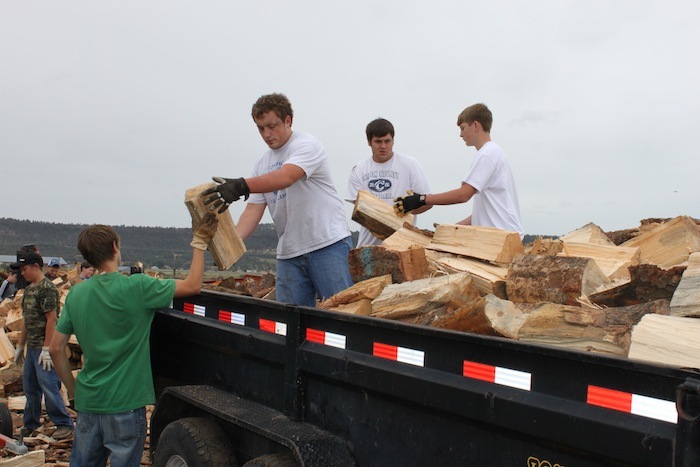 CCHS Football players loading a trailer with firewood. The beautiful bench that we nabbed at the CCHS Drama Department’s Chair-It-Able Event (Auction). I’m grateful to my friends and fellow parents. Not only do we raise money, but we have fun and build community while doing it. So, this brings us back to Facebook, one of our newest community members and the simple platform that allows Coach Ernie Brooks (and Jenny B!) to get the word out each time there’s a new opportunity to pitch in and raise money. Pitch in? Did I mention we sort bottles and cans? Lots of bottles and cans? I did? Hmmm…. We’re collecting them again this Saturday, September 25. It’s in conjunction with the 2nd Annual Drive One 4UR School. (Thanks, Robberson Ford.) It’s the same day as the Crooked River Elementary Fall Festival (PTO Fundraiser) at Pioneer Park. Lots to see, do, and support. I’m grateful for it all. Great post Rachel. 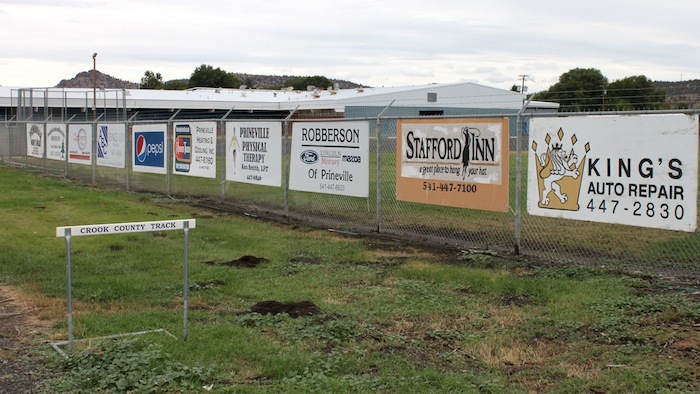 This community has heart, and I am amazed at how the business community, schools, and residents of Prineville have rallied together during this recession. It is inspriing and amazing. You rock, Crook County!